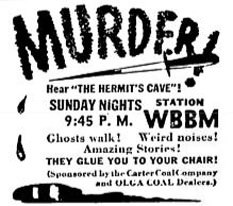 "The Hermits Cave" also known as "The Mummers"
"Ghhhhhooooossstt stories Weeeiiirrrrddd stories and murders too! The Hermit knows of them all! Turnnnn out your lights!" 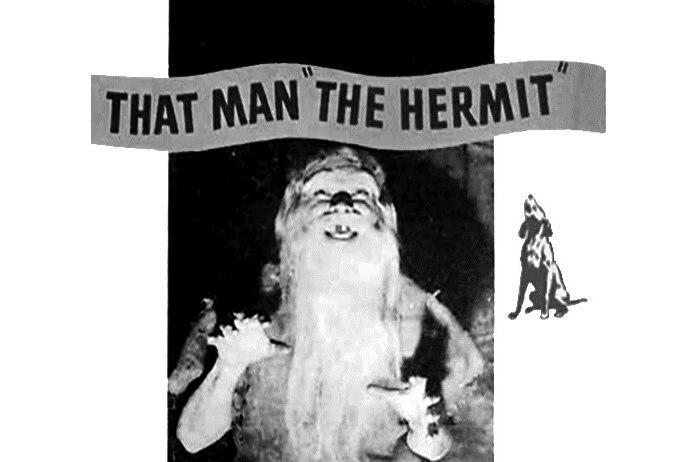 One of the first of the "best heard in the dark" horror shows with a spooky host, The Hermit's Cave starred John Kent in the Detroit run, and on the west coast, Mel Johnson, as the Old Hermit who shambled out of the mouth of his cave, warning the faint of heart not to listen. Was the Hermit's Cave wired for radio? No matter! The show was a regional creation of G.A. 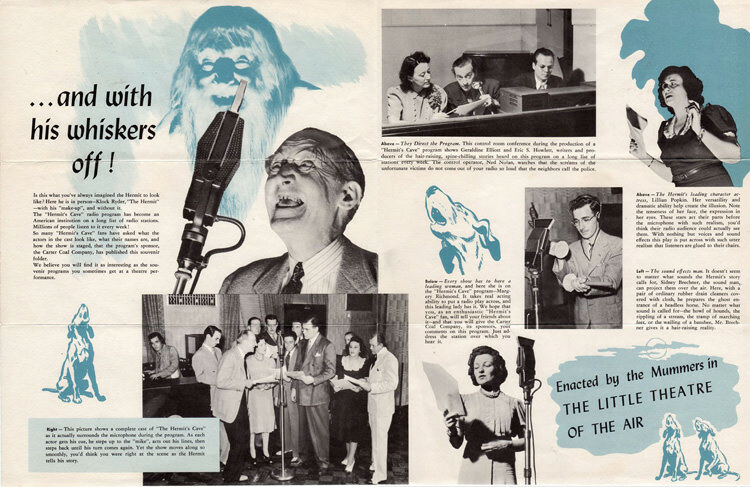 Richards of WJR in Detroit, but later ran from 1940-44 on Richard's West Coast station KMPC with different casts.He hired a bunch of younger talents, and several went on to be major radio actors.The haggard hermit of the show in Detroit was John Kent. Mel Johnson first took on the role. Johnson played the world-weary and sardonic Hermit at the ripe old age of 24! John Dehner, best known as Paladin in Have became the hermit after 1942 when he was 28. 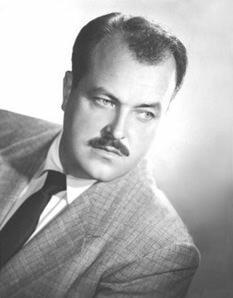 A young 22-year-old William Conrad produced and directed the West Coast version. Conrad who went on to play important roles in dozens of well-known old time radio shows through the years before starring on Escape and ultimately doing one of the greatest characters of radio, Matt Dillon, on Gunsmoke. 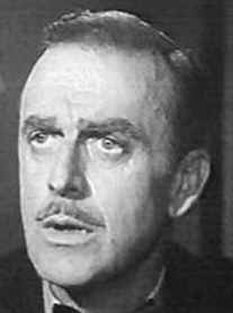 John Dehner, another gifted and popular radio actor, was Palladin in radio's Have Gun, Will Travel. The Mummers... in the Little Theater of the Air. The original sponsor was Olga Coal. Listened to them all. Hundreds are lost to history unfortunately... It makes me think of The Mysterious Traveler, Weird Circle, and The Witch's Tale. Really like all of them! I think the old witch, Nancy, has a more wicket laugh, of the "'Witch's Tales." I heard last weekend that a 13 year old girl. Mirium Wolfe was responsible for that wicked laugh.